2012 Prize Co-Recipient: Zhen-Yi Wang, M.D. Keynote Speaker: Wei Wu He, Ph.D., CEO and Chairman of OriGene Technologies, Inc. The Szent-Györgyi Prize Selection Committee recognizes Zhen-Yi Wang, M.D., for his innovative research, in collaboration with Zhu Chen, Ph.D., that led to the successful development of a new therapeutic approach to acute promyelocytic leukemia (APL). Dr. Zhen-yi Wang was born in Shanghai China in November 1924 and graduated from Aurora University School of Medicine (Shanghai China) and he got MD degree. Dr. Wang was President of Shanghai Second Medical University [now Shanghai Jiao-tong University (SJTU), Medical School), 1984-1988], director of Shanghai Institute of Hematology (SIH, 1987-1996). He is now Professor Emeritus of SJTU School of Medicine, honorary Director of SIH, member of Chinese Academy of Engineering (from 1994), Foreign Correspondent member of French Academy of Sciences (From 1992). He is a one of the pioneers in thrombosis and haemostasis research in China. 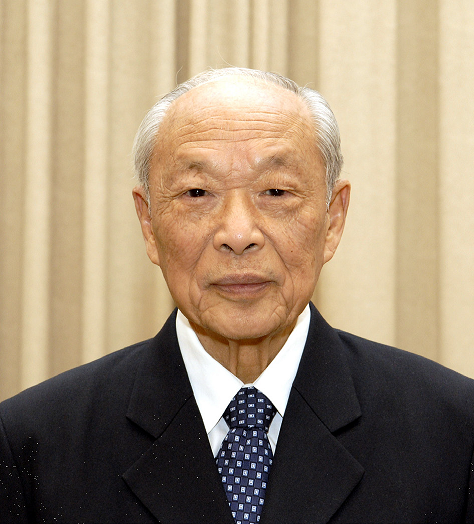 His successful research in the treatment of acute promyelocytic leukemia with all-trans retinoic acid provides a paradigm in differentiation therapy in cancer, for which he obtained at home, award of National Natural Science grade III(1993), National Top Award for Science and Technology(2011), Prize of Science from He-Ling-He-Li foundation (HK 1995), outstanding scientist prize from Qiu-Shi foundation (HK, 1996). Abroad, he was awarded Kettering Prize for cancer research from GM foundation USA(1994), Brupbacher Cancer Research Prize from Switzerland(1997), Prix Mondial Cino Del Duca from France(1998), Ham-Wasserman Lecture Prize from American Society of Hematology(2003), he was honored Honorary Doctor of Sciences from Colombia University USA(2001). His first paper published in 1998 in Blood has been cited 1632 times up to 2009, and was considered one of the 86 landmark papers in 20th century Hematology ( Lichtman MA et al). He has published more than 320 papers, 5 books, trained 34 students for Master and 21 for doctor degree of sciences. Your ticket for the: 2012 Prize Co-Recipient: Zhen-Yi Wang, M.D.